In 1979, The Clash released their third album ‘London Calling’. Produced by Guy Stevens and Mick Jones it’s considered to be their masterpiece, it charted at No. 9 and is ranked No. 8 in Rolling Stone’s list of the top 500 albums of all time. It’s sold over 5 million copies and has been certified as a platinum disc in the US. Over the last two years London Calling, premier UK Clash tribute band have been touring the classic album ‘The Clash’ in 2017 and ‘Give ‘Em Enough Rope’ in 2018 to sell-out audiences across the UK, including four sold-out shows at the iconic 100 Club in London. 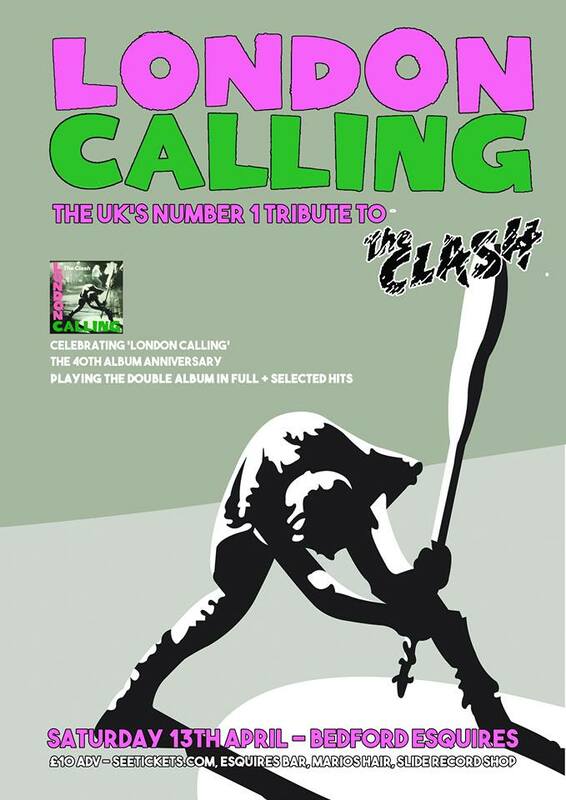 They will be paying homage to the London Calling LP by playing the entire double album in track sequence, followed by a ‘best of’ set to include classic songs like ‘I Fought The Law’ ‘White Man In Hammersmith Palais’ ‘Should I Stay Or Should I Go’ ‘Clash City Rockers’ ‘Complete Control’ and ‘White Riot’.